QR Codes: What are QR Codes? QR codes (Quick Response codes) are two dimensional codes that can be read by mobile devices that are equipped with a camera and a browser. The device's camera can 'read' the code and perform numerous tasks including linking you to a website, displaying text, or displaying contact info, amongst other tasks. To scan the code you need to have a QR code reader installed on your mobile device. Some mobile devices will come with readers already installed otherwise there is a wide variety of code readers you can install yourself. The video below describes QR codes and suggests some free mobile QR apps to read the codes. 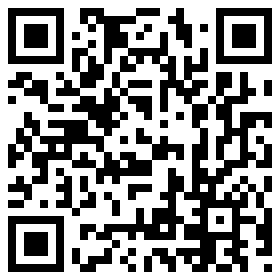 Scan this code to access the Madison College Libraries site. Marketing- Place on pamphlets and other promotional materials. Code can link user to more info on products and services. See Marketing with QR Codes for inspiration. Personal Promotion- Put on business cards and link to your website, resume, etc. Green Ticketing-Using QR codes in place of paper tickets and gift cards can reduce waste.